Home » Forex » The US Dollar rose versus a basket of major currencies on Monday for the 5th consecutive trading session reaching a 16-month high. 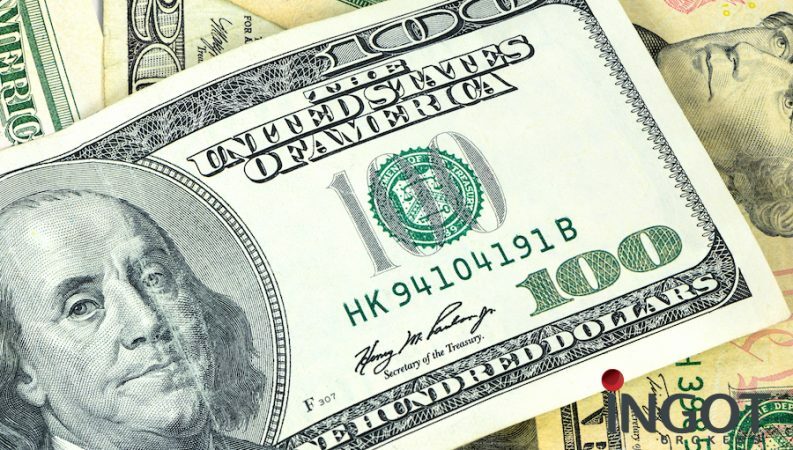 The US Dollar rose versus a basket of major currencies on Monday for the 5th consecutive trading session reaching a 16-month high, supported by the bets on a Federal Reserve interest rate increase next month. The U.S Dollar index gained 0.63 percent versus a basket of six major currencies on Monday to end the session at 97.50 expected interest rates hikes in December. Over in Europe, EURUSD fell by 1.03 percent for the third session in a row to close the session at 1.12176. The currency was pressured by a stronger U.S. Dollar and Brexit uncertainty. Over in the United Kingdom, the Sterling extended its losses on Monday’s session due to increasing tensions within British Prime Minister Theresa May’s government over the possibility to negotiate a Brexit plan with Brussels. The GBPUSD fell by 0.55 percent versus the U.S. Dollar to trade at 1.28464 at the close. In terms of Safe-havens, both the Swiss Franc and the Japanese Yen declined against the U.S. Dollar. The USDCHF and USDJPY ended Friday’s trading session higher at 1.01087 and 113.827 respectively. Precious metal Gold fell again on yesterday for the 7th session in a row pressured by a stronger Dollar. The Gold dropped against Greenback by around 0.76 percent to settle down at 1200.15 on Monday. In terms of commodity-currencies, the Loonie Dollar fell against the U.S. Dollar for the third session in a row despite the bounce in the price of Oil. The USDCAD rose to a two-month high to end the session on Friday at 1.32450. Meanwhile, in Asia, the AUDUSD fell by 0.76 percent to trade at 0.71711 and the NZDUSD lost 0.42 percent to trade at 0.67088 at the close. In Cryptocurrencies, Bitcoin and Litecoin were trading lower versus the Greenback on Monday to settle at 6287.21 BTCUSD, and 48.40 LTCUSD, while Ethereum edged up against the U.S. Dollar to end the session in the green at 205.41 ETHUSD.